This unique and beautiful piece of art is made of solid rose wood. 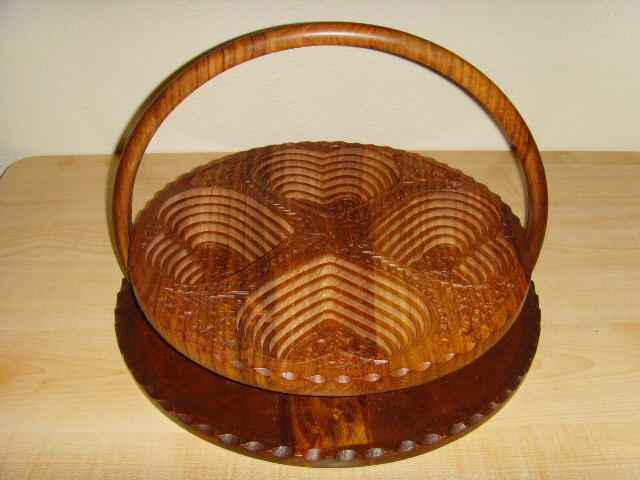 In a flat positon, it can be easily stored or used as a trivet. By lifting the handle to a vertical position (90 degrees)you will discover a magnificent basket that can be used as a decorative item, potpourri or fruit basket, or to display decorative floral arrangements. This item makes the perfect original gift.